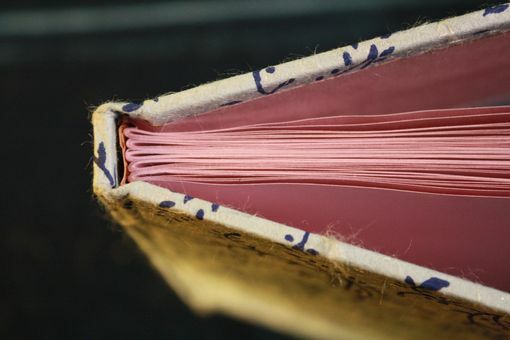 Case-bound codex journal, 7x4". 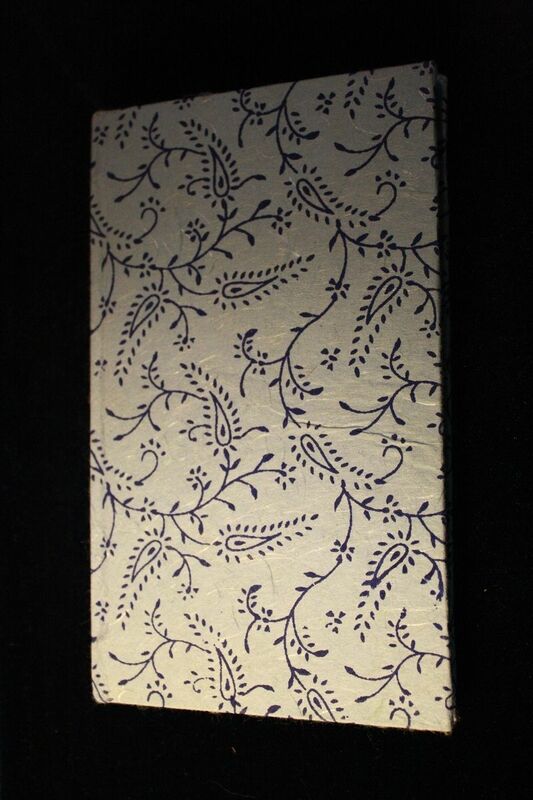 Covers are light blue with a navy blue filigree flower design. 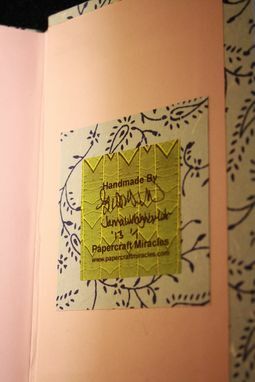 100 lavender colored pages inside.